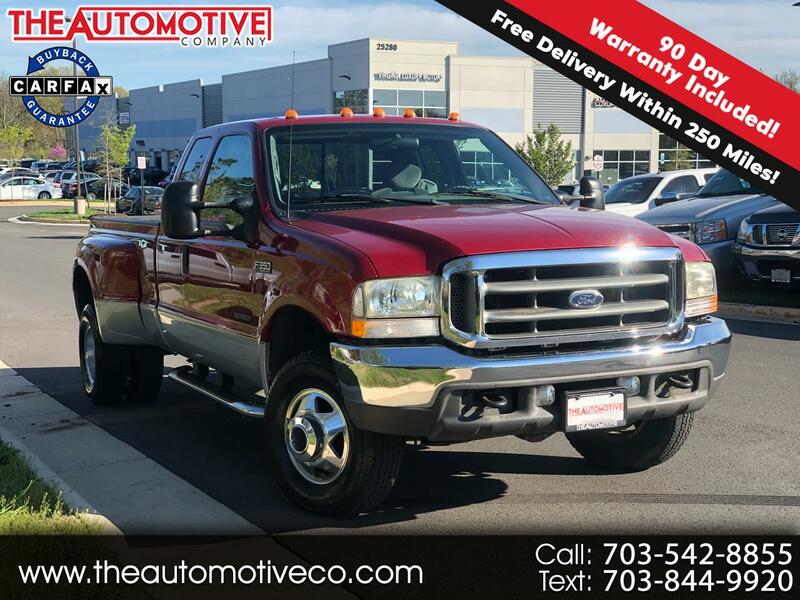 *DRW XLT, *1 OWNER,*4WD 7.3 POWER STROKE , *EXCELLENT CONDITION,*NO RUST ,*EXCELLENT CARFAX REPORT , *FREE WARRANTY INCLUDED, *FREE SHIPPING WITHIN 250 MILES and MORE. Up for sale is an excellent condition 2002 Ford F-350 with only 56k miles that is sold with 3 month/3000 mile limited bumper-to-bumper warranty.Additional 3 month warranty can be purchased for an additional $284. ( 6 month total). We now offer FREE HOME DELIVERY within 250 miles from our location. We will deliver the car/truck to your door after the purchase has been completed at no extra cost. WARRANTY AND SHIPPING OFFER ONLY VALID WHEN PURCHASED FOR ASKING PRICE. Message: Thought you might be interested in this 2002 Ford Super Duty F-350 DRW.